SINGAPORE (March 30): Oil prices were steady on Thursday, supported by falling crude output in Libya and declining gasoline stocks in the United States, although bloated U.S. crude inventories are still weighing on markets. Prices for front-month Brent crude futures, the international benchmark for oil, were at $52.42 per barrel at 0040 GMT, unchanged from their last close. 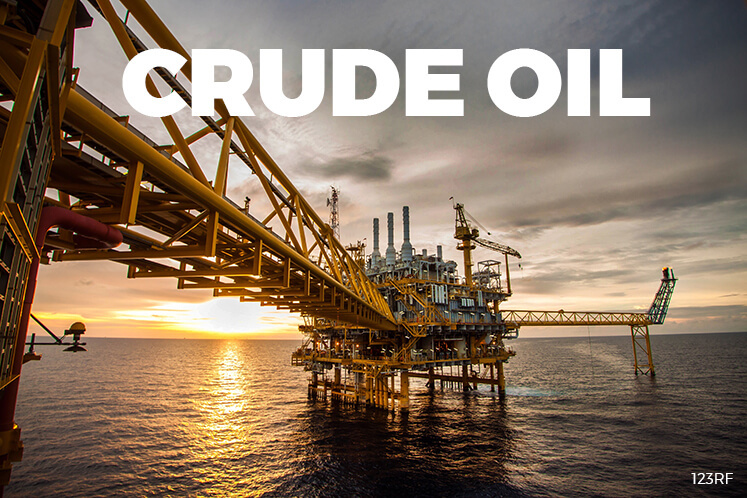 In the United States, West Texas Intermediate (WTI) crude futures were up 5 cents at $49.57 a barrel. ANZ said on Thursday that prices were supported by Libyan oil output falling to about 500,000 barrels per day (bpd) due to the shutdown of pipelines from its biggest field. And while a rise in U.S. crude inventories weighed on markets, ANZ said that "the market got excited" about a drawdown in gasoline stockpiles. "The big falls in gasoline inventories, coming near the end of the refinery maintenance season, suggest crude oil inventories are on the cusp of declining," it said. U.S. crude inventories rose 867,000 barrels in the week ending March 24, compared with analyst expectations for an increase of 1.4 million barrels. Total inventories were at a record of nearly 534 million barrels, the Energy Information Administration (EIA) said on Wednesday. Gasoline stocks fell 3.7 million barrels, compared with expectations for a 1.9-million barrel drop. Key for the direction of oil prices will be whether an initiative led by the Organization of the Petroleum Exporting Countries (OPEC) to cut oil production during the first half of the year will be extended, and how high compliance with the reduction targets will be. OPEC, along with other producers including Russia, aims to cut output by almost 1.8 million bpd during the first half of the year. OPEC compliance with its targets is expected to be 95 percent this month, up from 94 percent in February, according to Reuters surveys. However, compliance is lower by non-OPEC members like Russia, who have officially agreed to participate in the cuts. "Russia's 300,000 bpd cut commitment particularly has been called into question," Eurasia Group said this week in a research report. "While it remains possible Russia can scrape together a combination of outages and natural decline at some west Siberian brownfields and spin this as a 300,000-bpd output cut, it is highly unlikely Russia will achieve an absolute 300,000 bpd reduction during the tenure of the current agreement," it added.